Old school and proud of it, the Dawes Sportif is a steel framed Audax machine in the traditional mould, that offers a decent balance between a robust build and a good quality ride. It's a bit docile for the new sportive set but if you're looking for a workhorse bike that'll handle long rides, light touring and winter commutes then the Sportif might well fit the bill. Built around a Reynolds 520 frame the Sportif has a typical audax geometry with a longer headtube and shorter top tube than a more hunkered down road machine. It's matched with a raked Cromoly fork and the two are painted with a smart looking metallic red finish that's proven to be fairly hardy, dealing with minor scuffs well. Transmission duties are taken care of by a Sora groupset and the wheels are good quality Alex DA22 rims mated with Formula hubs, and they're shod with Vittoria Zaffiro tyres, one of our budget favourites. Dawes finishing kit and a Selle Italia XO saddle finish things off. My first impressions of riding the Sportif were a bit mixed. At 11.5kg it's no lightweight, especially when the last steel sportive machine I rode was the 8.6kg Salsa Pistola, and it's not the liveliest bike straight out of the box. That's not to say it doesn't ride well, the position is spot on for a long stint in the saddle and the steel frame delivers a good ride. That steel spring? Well, it's in evidence to an extent but I wouldn't say the Sportif was the most responsive bike I've ridden. The large diameter down tube stiffens things up, especially at the bottom bracket, but I'm not sure it's good for the overall ride. The fork is great though, offering comfort and crisp tracking, and the handling generally is excellent. Cruising and climbing are good but the best part is pointing the Sportif downhill, it's a riot on the swooping stuff with the quick handling bringing a grin to your chops. Back up the other side you'll be struggling for gears though, for some reason Dawes have mated the very sensible 50/34 compact chainset with a close ratio 11-23 cassette. I've no idea why they couldn't have fitted an 11-28 but I certainly found the Sportif overgeared on steeper climbs. 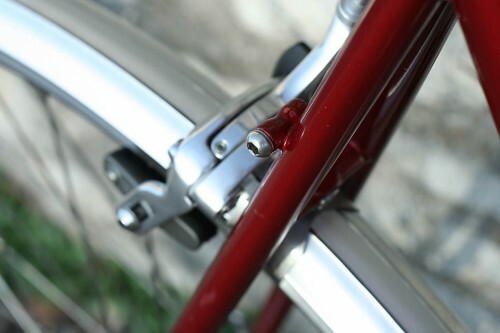 If you've a hilly commute or you're thinking of touring on the Dawes then you'll want to swap it out. Speaking of touring, the Sportif is an excellent platform for a bit of loaded riding and in fact I completed a 3,600km tour of Chile with a friend riding a predecessor of this bike. There's low rider mounts for front bags as well as a rear pannier. I found that the rear mounts on the chainstays were too close to the brakes and fouled the callipers but a few washers sorted that out. So who's the Sportif for then? Well, if you're looking for a bike just to buff up and swank about with the sportive set then you're best off looking elsewhere. The Dawes is much more Audax than Etape and although you'll probably get beaten up the hills you'll have a blast catching up on the descents. But the Sportif is too versatile just to wheel out when there's a big ride to do. It's a good commuter bike, fully equipped to see off a winter of daily riding with the minimum of fuss, and it's plenty happy dragging the weekly shop back from the supermarket too. Add to that the touring capability and you're looking at a worthwhile option for your spend if you need a bike for all seasons. 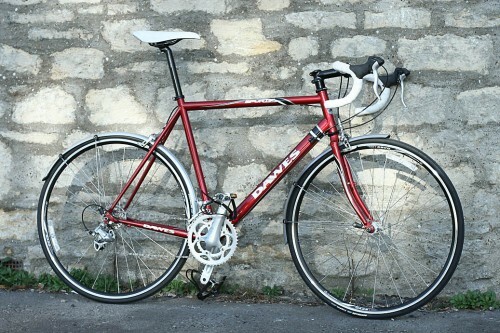 All things considered the Dawes Sportif is a likeable bike and happy to be pressed into service for a variety of riding. Its overall heft counts against it as a thoroughbred sportive machine but it's plenty capable of a big ride, and rides well loaded too. It's not perfect for sure, but it's a good choice if you want one bike to cover all bases. Headset: Cane Creek Ahead 1.1/8"
"The Sportif range is designed especially for Sportif or Audax riders. The geometry is just a little more upright and shorter than our standard road bikes and with frame materials specifically chosen for added comfort for longer hours in the saddle. 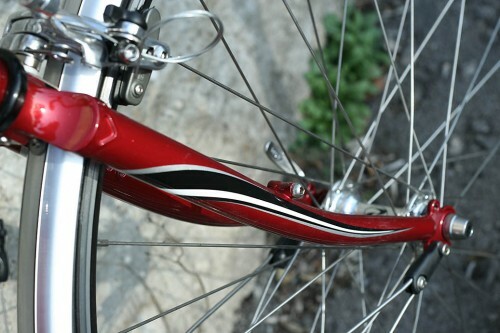 The Comp features a Reynolds 520 chromoly frame and double butted chromoly forks. Fitted with top drawer brands with the Shimano Sora 18 speed compact gearset, Alex DA22 double wall rims and Selle Italia XO saddle. Stopping power is supplied by the Tektro dual pivot caliper brakes and finished with Schwalbe tyres. A great bike for a great day out." Fine for more upright road riding. Given that I'd normally ride a 58/59cm I could probably get on with either the 57cm tested or the 60cm okay. The handling is a really nice mix of stability in the straights and chuckability in the corner, it's nice and responsive to rider input.